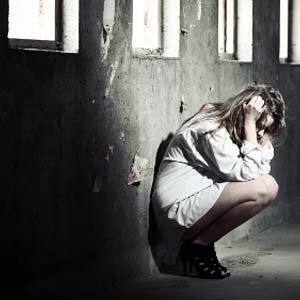 Post-traumatic stress disorder (PTSD) is an anxiety disorder characterized by psychological symptoms that continue to be experienced long after a traumatic event. Any physical or psychological trauma can trigger PTSD, but there is most often an involvement of actual or threatened serious injury to the person or someone close to them. The most common traumatic events leading to PTSD are combat, natural disasters, and abuse and victimization, including sexual assault and terrorism. The psychological pattern, characterized by persistent and chronic symptoms, that arise in certain individuals in response to such events define this disorder. Symptoms may present themselves immediately following trauma or may be delayed months or years. Research shows that at least 83% of persons in the general population with PTSD have at least one other mental health diagnosis with 16% having one, 17% having two, and 50% having three or more. The traumatic events that result in the development of PTSD may also result in physical trauma. Diagnostic criteria for PTSD include a history of exposure to a traumatic event that meets specific stipulations and symptoms from each of four symptom clusters: intrusion, avoidance, negative alterations in cognitions and mood, and alterations in arousal and reactivity. The sixth criterion concerns duration of symptoms; the seventh assesses functioning; and, the eighth criterion clarifies symptoms as not attributable to a substance or co-occurring medical condition. • The person was exposed to: death, threatened death, actual or threatened serious injury, or actual or threatened sexual violence via direct exposure, witnessing, indirectly, or repeated exposure. • The traumatic event is persistently re-experienced in one of the following ways: recurrent memories, traumatic nightmares, dissociative reactions (flashbacks), prolonged distress, or marked physiologic reactivity. • Persistent effortful avoidance of distressing trauma related stimuli after the event via thoughts/feelings or external reminders. • Negative alterations in cognitions and mood that began or worsened after the traumatic event in two of the following ways: dissociative amnesia, persistent negative beliefs, persistent distorted blame, persistent negative trauma related emotions, markedly diminished interest in significant activities, feeling alienated from others, or constrictive affect. • Trauma related alterations in arousal and reactivity that began or worsened after the traumatic event in two of the following ways: irritable or aggressive behavior, self-destructive or reckless behavior, hypervigilance, exaggerated startle response, problems in concentration, or sleep disturbances. • Persistence of symptoms (in Criteria B, C, D, and E) for more than one month. • Significant symptom related distress or functional impairment (e.g. social, occupational). • Disturbance is not due to medication, substance use, or other illness. Increased arousal may be measured through studies of autonomic functioning such as heart rate, electromyography, and sweat gland activity. Any person, even if psychologically healthy, may develop PTSD when exposed to an extremely traumatic event. • age less than 10 at time of parent’s divorce. 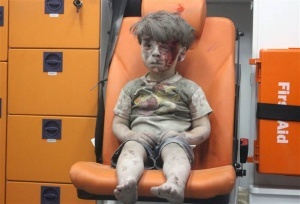 • severity of experienced trauma. Research shows that people with PTSD are at an increased risk of developing diseases of nervous system, hypertensive, circulatory systems, digestive system, musculoskeletal system, and ill-defined conditions. Furthermore, veterans with PTSD have a higher prevalence of physical illnesses in these areas when compared to veterans without PTSD. 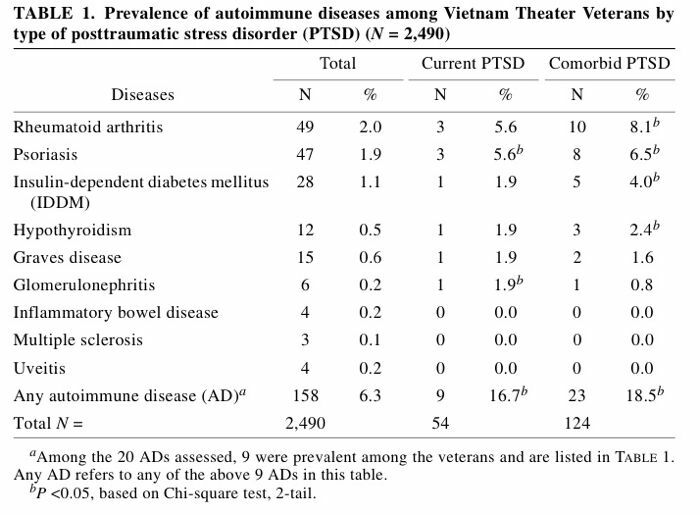 The following table was taken from a study using veteran samples examining the association of PTSD with physical health, specifically autoimmune diseases. • A physical therapist is not involved in the primary treatment of PTSD. However, patients with PTSD may have experienced an injury during their traumatic event, i.e. military personnel, emergency personnel, first responders, etc, who need PT interventions. • Acknowledging that the development of PTSD can occur quickly, or with a delayed onset, understanding the associated risk factors, and recognizing signs and symptoms allows for physical therapists to better address the needs of their patients. • A patient exhibiting warning signs of PTSD may indicate referral to a mental health professional. Also, collaboration with mental health professionals may be necessary to ensure the highest quality of care for these patients. • Treating a patient who present with a co-morbidity of PTSD, or who is exhibiting signs and symptoms of the disorder, may pose challenges throughout the course of therapy. Challenges may include patient’s response to treatment, patient's relationship with the physical therapist, compliance, fear of symptoms, etc. o One study found that yoga intervention in women with PTSD improved exercise motivation. o Aquatic therapy can be an effective intervention in patients with PTSD based on the similar sensory deficits as children with sensory integration disorder, but further research is needed to determine its effectiveness. • Having a list of resources related to PTSD available in the physical therapy setting may also be beneficial. Other disorders besides PTSD can present with the same symptoms and be triggered by a traumatic event. In addition, all of the following may exist simultaneously with PTSD. • Psychosis – i.e. hallucinations, delusions, etc. ↑ 1.0 1.1 1.2 1.3 1.4 1.5 1.6 1.7 1.8 Comer RJ. Abnormal Psychology. 6th ed. New York, NY: Worth Publishers; 2007. ↑ 2.0 2.1 2.2 2.3 2.4 National Institute of Mental Health. 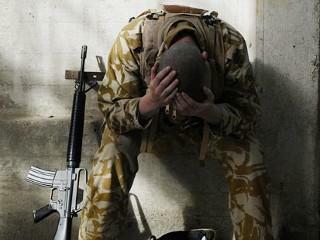 Health Topics: Post-Traumatic Stress Disorder (PTSD). Available at http://www.nimh.nih.gov/health/publications/post-traumatic-stress-disorder-ptsd/complete-index.shtml. Updated August 31, 2010. Accessed March 6, 2011. ↑ 3.0 3.1 3.2 3.3 Hockenbury DH, Hockenbury SE. Psychology. 3rd ed. New York, NY: Worth Publishers; 2003. ↑ Milliken CS, Auchterlonie MS, Hoge CW. Longitudinal Assessment of Mental Health Problems Among Active and Reserve Component Soldiers Returning from the Iraq War. JAMA. 2007;298(18)2141-2148. Available at:http://www.dtic.mil/cgi-bin/GetTRDoc?AD=ADA480266&Location=U2&doc=GetTRDoc.pdf. Accessed March 27, 2011. ↑ 5.0 5.1 5.2 National Center for Biotechnology Information, U.S. National Library of Medicine. PubMed Health: Post-traumatic Stress Disorder PTSD. Available at http://www.ncbi.nlm.nih.gov/pubmedhealth/PMH0001923/. Updated February 14, 2010. Accessed March 13, 2011. ↑ 6.0 6.1 American Psychological Association. Guidelines for Differential Diagnoses in a Population with Posttraumatic Stress Disorder. Professional Psychology:Research and Practice. 2009;40(1):39-45. DOI: 10.1037/a0013910. Available at:http://www.houston.va.gov/docs/research/Dunn.pdf. Accessed March 27, 2011. ↑ WebMD, Inc. emedecine health:Post-traumatic Stress Disorder. http://www.emedicinehealth.com/post-traumatic_stress_disorder_ptsd/page8_em.htm. Updated April 4, 2011. Accessed April 4, 2011. ↑ Nelson MH. Principles of Drug Mechanisms. In: Pharmacy 725 Lecture; 2006; Wingate University School of Pharmacy. http://pharmacy.wingate.edu/faculty/mnelson/PDF/Sedative_Hypnotics.pdf. Accessed April 5, 2011. ↑ 9.0 9.1 Fleener, PE. Post Traumatic Stress Disorder Today: Post Traumatic Stress Disorder DSM-TR-IVTM Diagnosis & Criteria. Available at http://www.mental-health-today.com/ptsd/dsm.htm. Accessed March 13, 2011. ↑ Andersen J, et al. 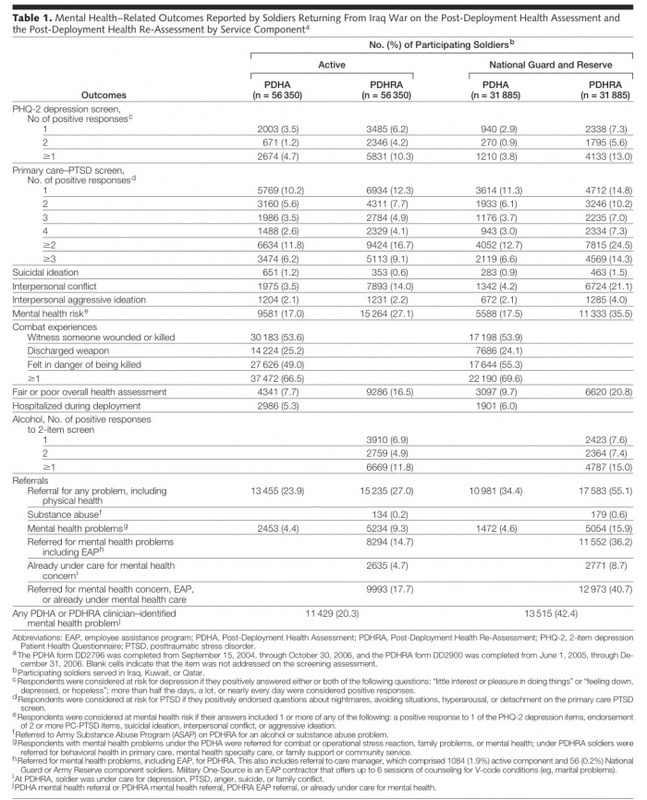 Association Between Posttraumatic Stress Disorder and Primary Care Provider-Diagnosed Disease Among Iraq and Afghanistan Veterans. Psychosomatic Medicine 72:000-000. 2010. doi:10.1097/PSY.0b013e3181d969a1. Available at: http://judithandersen.squarespace.com/storage/Andersen%20et%20al%202010%20PTSD%20and%20Phys%20Health%20MS%20Psychosomatic%20Medicine.pdf. Accessed April 5, 2011. ↑ Boscarino JA. Posttraumatic Stress Disorder and Physical Illness: Results from Clinical and Epidemiologic Studies. Ann. N.Y. Acad. Sci. 2004; 1032:141-153. doi: 10.1196/annals.1314.011. Available at:http://www.cfids-cab.org/cfs-inform/Ptsd/boscarino04.pdf. Accessed April 5, 2011. ↑ Schnurr et al. Physician-Diagnosed Medical Disorders in Relation to PTSD Symptoms in Older Male Military Veterans. Health Psychology. 2000;19(1):91-97. doi: 10.1037//0278-6133.19.1.91. Available at: http://www.bu.edu/lab/Publications/Schnurr_Spiro_Paris_2000.pdf. Accessed April 5, 2011. ↑ Hollander E, Simeon D. Concise Guide to Anxiety Disorders. Washington, DC, American Psychiatric Publishing. 2003:p.58. In: FOCUS. 2003;1(3):245. Available at: http://focus.psychiatryonline.org/cgi/reprint/1/3/245.pdf. Accessed April 4, 2011. ↑ Kaplow JB, Saxe JN, Putnam FW, Pynoos RN, Lieberman AP. The Long-Term Consequences of Early Childhood Trauma: A Case Study and Discussion. Psychiatry. 2006;69(4):362-75. Available at http://www.ncbi.nlm.nih.gov/pubmed/17326730. Accessed April 3, 2011. ↑ Stapleton J, Taylor S, Asmundson G. Efficacy of Various Treatments for PTSD in Battered Women: Case Studies. Journal of Cognitive Psychotherapy [serial online]. Spring2007 2007;21(1):91-102. Available from: Academic Search Premier, Ipswich, MA. Available at http://www.ingentaconnect.com/content/springer/jcogp/2007/00000021/00000001/art00009. Accessed April 4, 2011. ↑ Rothbaum B, Hodges L, Alarcon R, Ready D, Shahar F, Baltzell D, et al. Virtual Reality Exposure Therapy for PTSD Vietnam Veterans: A Case Study. Journal of Traumatic Stress [serial on the Internet]. 1999; 12(2):263-271. Available from: Academic Search Premier. Available at http://www.ncbi.nlm.nih.gov/pubmed/10378165. Accessed April 4, 2011. ↑ Bisson J, Andrew M. Psychological treatment of post-traumatic stress disorder (PTSD) (Review). The Cochrane Library 2009, Issue 1. Available at http://info.onlinelibrary.wiley.com/userfiles/ccoch/file/CD003388.pdf. Accessed March 16, 2011.